In this post, I am going to show how to generate passive income using my simple dividend portfolio. In my last week’s post on generating passive income from dividend investing, I talked about how I invested in a pool of individual stocks to generate a passive income through dividends. Without my own knowledge, I had assumed the position of a fund manager (without pay) and experienced the pains that come with it first hand. For all the time and effort I was putting into it, it was cynical to call it passive income from dividend stocks. Long story short, after a series of gains and losses that were tied to the oil crash in unexpected and unanticipated ways, I came out unscathed. To learn more about my past journey, please read my passive income dividend investing post. Okay, been there done that, now what? Is there a better way to earn passive income from dividend stocks without all the hassle? I came to the conclusion that I had done it wrong and that there had to be a better way. So, I started researching ETFs that were available. When I say passive income, I really mean it. It must be totally passive, where in once I invest, I should just be able to forget about it. In my quest, I found ETFs like NOBL that were invested in a pool of S&P 500 dividend aristocrat stocks. A stock is considered a dividend aristocrat if it has been consistently increasing dividends for the past 25+ years. What I did not like was the expense ratio of 0.35%. At the time of my research, the expense ratio for NOBL was higher. It has come down recently due to price wars in the ETF arena. I wanted an ETF that would meet my objectives with a significantly lower expense ratio. During my research, I identified Charles Schwab’s U.S. Dividend Equity ETF – SCHD. SCHD’s goal is to track the performance of the Dow Jones U.S. Dividend 100 Index. As the number indicates, 100 stocks make up this index. According to Charles Schwab, SCHD’s objective is to be a low cost ETF with an opportunity for current income (aka dividend income) and capital appreciation. SCHD’s expense ratio is 0.07%. This means I would be paying about 70 cents annually for managing my $1000 invested into SCHD. 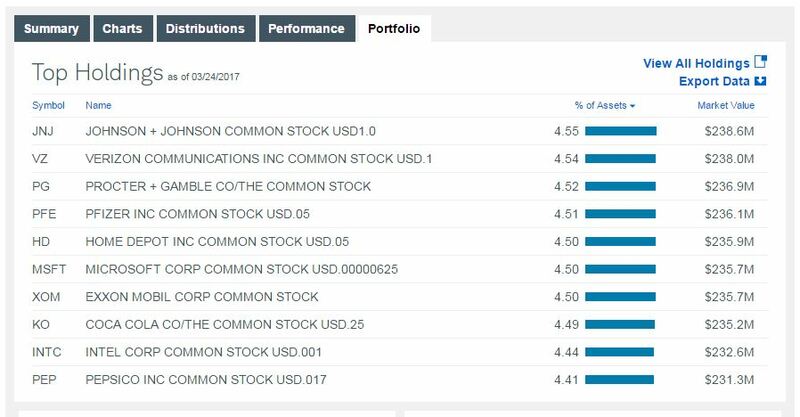 If you have a brokerage account with Charles Schwab, then SCHD is one of the commission free ETFs. That means you don’t pay any trading commission to Charles Schwab when you buy or sell this ETF. If you enable dividend reinvestment, the dividends get automatically reinvested. Of course, I will mention the obvious – Charles Schwab supports fractional shares, so in essence you could put every single dime that you earned in dividends back to work through dividend reinvestment. Prospectus: SCHD Prospectus – if you are interested in all the gory details. Beta – Beta measures the volatility of a stock or ETF in relation to the market (aka S&P 500). In this case, SCHD has a beta of 0.89. That means it is less volatile than S&P 500. If beta is 1 for a stock or ETF, then you could expect it approximately to be as volatile as the market. If beta is greater than 1, then you could expect the stock or ETF to go up higher than S&P 500 when market goes up and vice versa. As mentioned, SCHD’s inception date was Oct 20, 2011. It has been around for 5+ years. Now let us take a look at its performance. That is a pretty decent return. Not too shabby at all – I would take that kind of return for an expense ratio of 0.07%. It only gets better. Let us now take a look at the dividend history. SCHD pays dividend quarterly. I looked up the dividend information in Charles Schwab and added the quarterly dividends to come up with the total annual dividend paid out. You can see the steady growth in dividend yield for the past 5 years. Given that I already had an account with Charles Schwab, I decided to invest in SCHD. 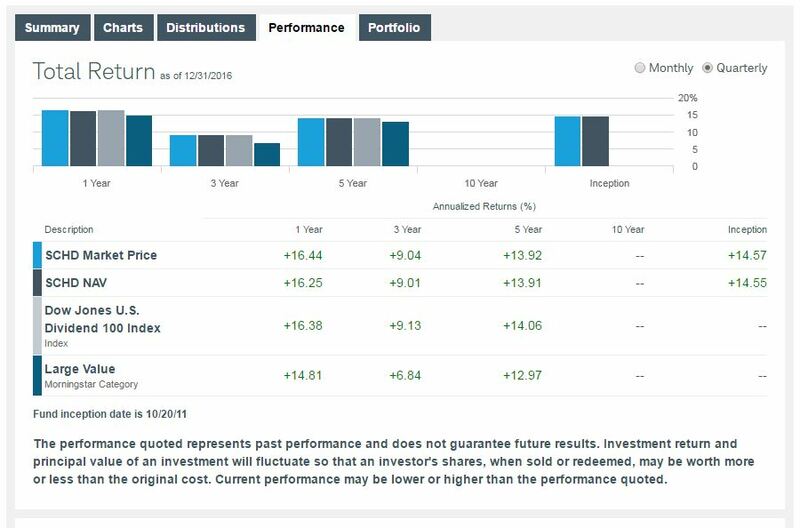 I had established my Simple Dividend Portfolio with just one ETF – SCHD – through which I was invested in 100 high quality U.S. Dividend Stocks. Earlier, when I had invested in individual dividend stocks, my diversification was across ~10 stocks. Now my diversification is 10 fold higher – it is across 100 stocks for a fraction of the cost I was paying commissions each time I purchased individual stocks. From January 2016, I slowly started putting money into SCHD as I continued to make exits from individual dividend stocks I had invested in. Every time there was fear or dip in the market, I would go in and buy into the ETF. As you can see, I have now been invested into SCHD for about 14+ months. That is a short period, however, it is long enough to provide a status update. 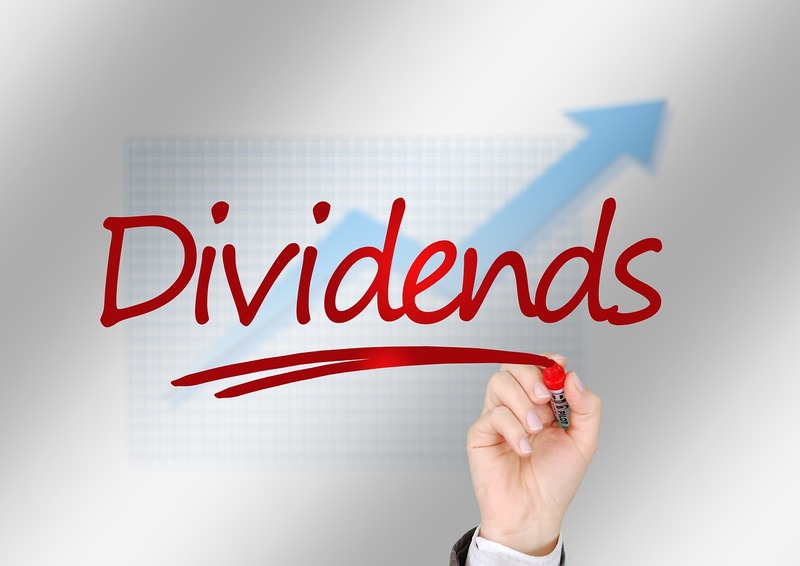 All dividends earned are automatically reinvested into SCHD. Yes, I put every dime earned in dividends to work! As of 03/24/2017, at the time of this writing, I have earned a return of ~10.51% that includes dividend reinvestment. Other than my initial upfront research and reviewing the fact sheet and prospectus of SCHD, I have not had the necessity to spend any additional time on this investment. I am so happy that I am not reviewing any 10Q and 10K statements and constantly checking who is saying what on Wall Street. Weeding out the bad stocks from the portfolio and replacing them with newly selected equities (aka portfolio turnover) is done by the brokerage and I don’t have to do it myself. Once again the brokerage takes care of portfolio re-balancing and conforming to a certain asset allocation per equity that I don’t need to deal with or worry about. Did I achieve my investment objectives of passive dividend income with my goal of capital preservation, dividend income and growth, and capital appreciation in that order? Was it truly a passive income stream? As I said, 14 months is not long enough to declare victory, however, it certainly is a good time for a checkpoint and I am impressed with the results thus far. I plan to accumulate SCHD to keep boosting my passive dividend income stream. Do you earn passive income? What is your favorite passive income stream? Do you earn passive income from dividend ETFs? If yes, which dividend ETF have you invested in?